You'll be £14.00 closer to your next £10.00 credit when you purchase U-Boat Type VII C. What's this? During the Second World War the German Navy boasted a massive number of U-Boats to cope with the Allied naval threat and to disrupt the much needed supplies from reaching the front lines. During the entirety of the war Germany built over 1,100 of them in their attempt to conquer the seas, with almost 800 of these being destroyed by Allied cruisers and aircraft before the end of the war. As well as the construction of smaller U-Boats for the coastal areas, oceangoing U-Boats were also built. The U-Boat type VII became the standard, built in several variations including the VII A, VII B, and finally the legendary VIIC. During the large convoy battles these U-Boats bore the brunt of the fighting and dealt colossal damage to the Allied fleet, with thousands of ships being sunk or damaged. 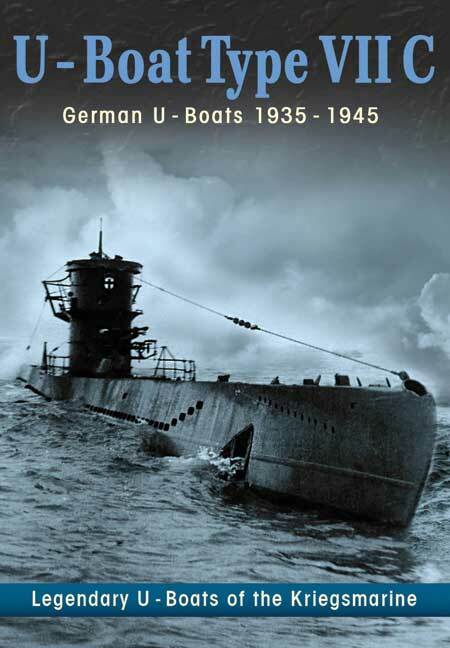 This DVD gives a concise history of this formidable type of U-Boat using rare and unseen German archive footage and is compulsive viewing for all naval enthusiasts.